Wazebo outdoor shower cabin with open frame made of white tubular metal footboard in WPC. 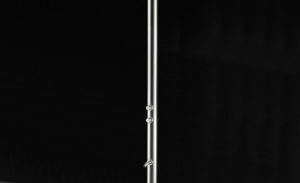 Stainless steel rain shower head ø 40 cm white colour. Single lever Joystick mixer with 3.5 cm cartridge. Elastomer foot washer hose operated by diverter. Shower cabin is equipped with one white shelf. 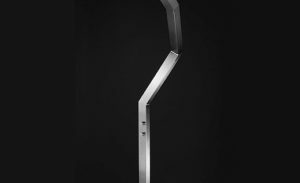 Adjustable feet for floor mounted installation. 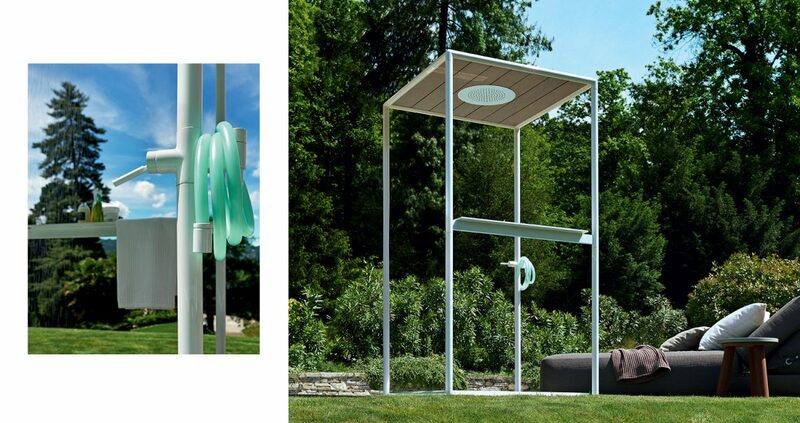 WAZEBO – Water Wellness Gazebo is an extremely versatile product designed by Ludovica+Roberto Palomba. Minimal and yet refined WAZEBO is a mini wellness shower pavilion that allows all the benefits of water to be enjoyed in direct contact with its natural surroundings while ensuring all the practicality and comfort of a shower cabin. 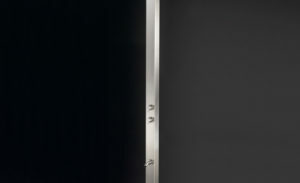 Its open tubular metal structure is completed by a slatted shower tray in WPC for an extremely natural tactile sensation. A joystick single lever mixer makes it possible to adjust the flow of both hot and cold water. The large rainfall shower head provides a soft relaxing jet even when used with very little water to avoid waste. Simple to install it can be positioned on any kind of surface even directly on the lawn. WAZEBO is a unique innovative object for customized outdoor wellness.